Nevada Governor Sandoval eyes Texas and other states for lucrative online poker deals. Nevada Governor Brian Sandoval is all geared up for discussions with governors from other states to introduce the concept of compacting and enter into internet poker deals to expand the player pool. Nevada already has one site online and is likely to permit a host of other sites for poker players to enjoy. 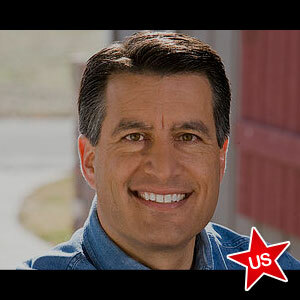 Howard Stutz of the Las Vegas Review-Journal says Governor Sandoval was not willing to mention the states although Texas is considered a frontrunner for a potential deal with the state of Nevada. Following a tour of the game testing site, BMM International, the governor addressed the media and was optimistic of the concept although the plan was in its early stages. One of the main reasons to influence the move was the fact that Nevada has the infrastructure while other states have many poker players with a lack of infrastructure. Texas is one among many states that is yet to legalize online gaming and poker. The Poker Gaming Act of 2013 has undergone a few changes and has now opened the possibility for ‘social’ poker rooms and online poker. Texas has a large anti-gaming lobby which also includes Governor Rick Perry who has often indicated his displeasure at passing such a bill. Interestingly, New Jersey and Delaware, the two states to pass some form of online gaming, have not been included as potential partners. Both states are expected to start online gaming and poker in the fall but lack the numbers in terms of population as compared with Texas. Nevada, New Jersey and Delaware are already prepared with online gaming regulations while many others are still looking at the prospects of passing legislation. California, Pennsylvania, Texas, Illinois, and Iowa have made the initiative to introduce bills but are not inclined to pass any laws yet. Governor Sandoval is pleased with the overall progress of the online poker industry in Nevada and exercised the need to take one step at a time when questioned about the slow progress of the launch of online gaming and poker sites. Ultimate Poker is the only online poker room to offer its products to customers in Nevada. The gaming firm has in a short time experienced over one million hand dealt. 888 Holdings is expected to launch their online operation during the WSOP. With Texas becoming part of a deal for a compact, the online poker industry in Nevada is likely to receive a big boost.